Click here to get your free samples from the talk on using etymology in English language teaching, given at the Language Show in October 2014. 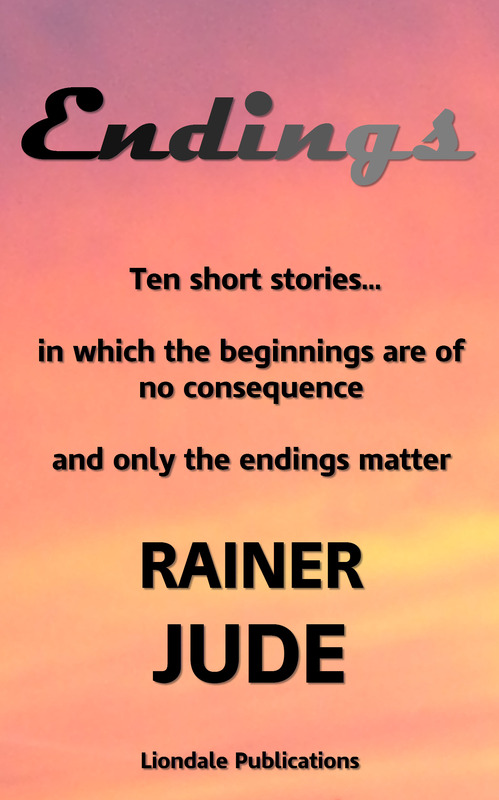 Endings is a collection of ten short stories in which the beginnings are of no consequence. The only thing that matters to these stories is the manner of their endings. These ten tales are imaginings of what might be. And when they end, there is no going back. The ending is final. Are you ready to discover your ending? Download for free one of the stories from the collection, Diet or Die? to find out what might happen when you fall for the latest fad. Endings is now available for Kindle on Amazon. Visit your local Amazon site. Hope you enjoy it. 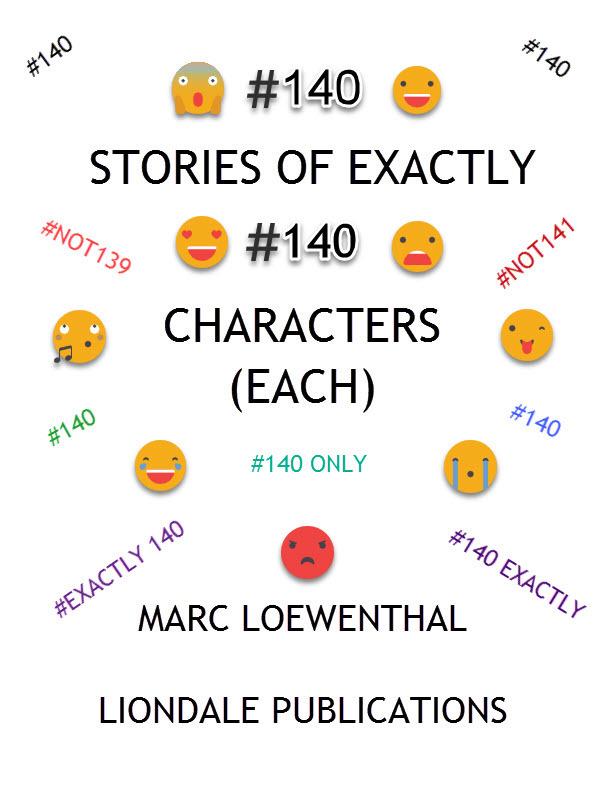 140 Stories of Exactly 140 Characters (Each) is a Twitter-age composition which speaks for itself with its title. There are 140 stories, each comprising exactly 140 characters and each based on a simple idea, which you may or may not know, but which is a lot of fun to try to work out. Just visit the Liondale site for your FREE copy! Hope you enjoy it! Visit the blog from The Wordman of Alperton and read my posts on aspects of language which I find fascinating and worth investigating, with lots of humour wherever I can fit it in. Bless the Buccaneer with Barbecued Blood is on sale! And also out is The Cryptic Companion to Bless the Buccaneer with Barbecued Blood, with almost 700 cryptic questions on words in the book. Click here to download the Cryptic Companion FREE! But don't forget to buy the book to find the answers. You can also follow etymological tweets on my Twitter account at Marcoloe. At last, the definitive book on English etymology and word origins is out. Click here on blessthebuccaneer.com to visit the book's website and find out more. The book takes a wry and humorous look at over 900 words, imagining what would happen if their former meanings were still used now and creating scenarios to the effect. You can sample some of the entries and have a go at answering the growing number of cryptic questions on the book. You can also buy the book print-on-demand or for Amazon Kindle devices. Don't delay, see it today. There is no other dictionary other than The Other Dictionary. English language teaching and training are major sectors in education and we are an important player in the EFL, ESL and ESOL markets. Eflworksheets.com provides a wide variety of free English language grammar and vocabulary exercises, which can be used by a teacher in class with students, or by the student for independent study to support their education and training in the English language. We offer worksheets which can be downloaded and printed for further practice of grammar and vocabulary studied in regular lessons in the EFL, ESL or ESOL classroom. Each vocabulary or grammar exercise can also be completed by students as an interactive, online exercise, either in class with their English teacher, or as part of the student's home study. For full information about our books, The Liondale English Language Series Volume 1: Grammar and vocabulary practice for intermediate and advanced students and The Latin Heart of English: English Vocabulary Practice Volume 1, as well as samples of the books to download and details of how to buy them, go to the Book contents page. Below is a list of links to other websites offering educational materials and services. eflworksheets.com is not responsible for the content of these sites. We will be adding more as we get them. This is our sister website, where you can purchase our latest publications. This is another sister website, which has a growing selection of word puzzles, word histories, humour, entertainment and extracts from The Other Dictionary. The Other Dictionary is our third sister website, which is the only dictionary of its kind in the world. See what it's all about. With over 6,500 resources, including lesson plans, worksheets, audio, video and flashcards, onestopenglish is the world's number one resource site for English language teachers. Your time is precious so onestopenglish is packed with resources to make life easier. All materials are written and edited by our expert team of teachers and authors and are organized into core subject areas such as Skills, Grammar and Vocabulary, Business, Exams and Young Learners, so youalways find what you're looking for. Discover the 200 destinations proposed by ESL Language studies abroad throughout the world to learn a language abroad. Learn English Learn and explore the English language with topics such as poetry, stories, medical and business English, letter writing, grammar, vocabulary, essay composition and general chit chat. Learn English with online help from volunteer teachers all over the world. ITS Tutorial School Hong Kong - private tutors, tuition, online tutoring, home schooling English Language specialists. Provides one to one or small group tuition for Hong Kong students or adult learners in most secondary and many tertiary areas. ITS provides support for people who are about to take a variety of English language tests. Specialists in providing educational support for second language speakers. Registered school in Hong Kong. Tefl Courses - Intensive TEFL courses, for students aiming to acquire TEFL certification to teach English as a foreign language. Academic brokerage service - KnowledgeRICH connects businesses facing a technical challenge with knowledge and expertise from universities in Yorkshire and the Humber. Find out more about our free brokerage service. Diploma Dalloway School High School graduates get an official High School diploma recognizable by every institution across the country. Diploma Online Alpha High School graduates get an official High School diploma recognizable by every institution across the country. Presentation skills & public speaking training courses Presentation skills & public speaking training courses and personal coaching from Skillstudio in London and throughout the UK and Europe. Online Courses for High School Students. Click Forest Trail Academy to join online courses that help students to satisfy curriculum requirements. Check our Course Catalog to view all available courses. French classes Hong Kong Learn French in Hong Kong. Small classes for young children. Teaching degrees Hundreds of programs for aspiring educators. As well as over a thousand professional development courses. Job-Applications.com - tutoring and education jobs - Apply for teaching jobs online.